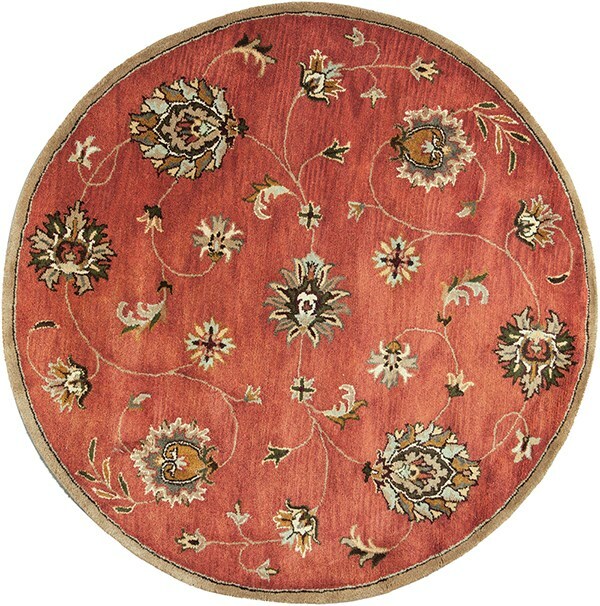 The rug is beautiful, colors and pattern are lovely and quality is outstanding. I actually stopped in the Rugs Direct Showroom on my way through Virginia. The gentleman who ran the showroom was delightful , helpful, honest and gave me the best possible price. 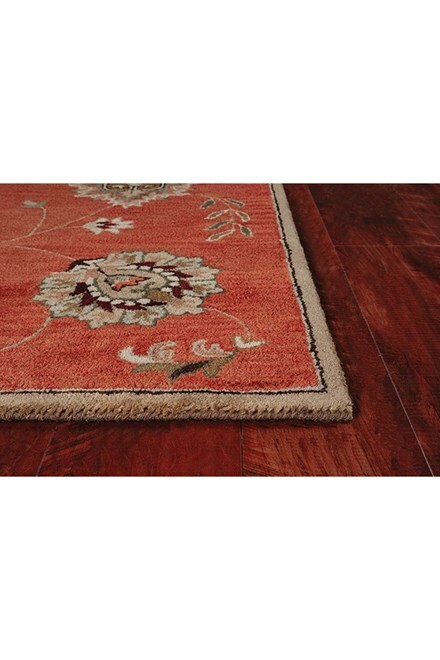 I love this rug and it's great value but the color is nothing like the brilliant rust on the screen. It's quite dark and not vivid. I'm keeping it because I can't go through all the trouble of sending it back but I am disappointed in the difference in color. 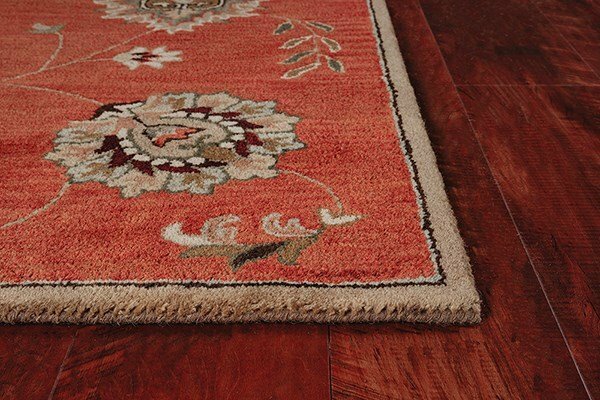 Rug is thick and bound nicely and is a good quality wool rug. 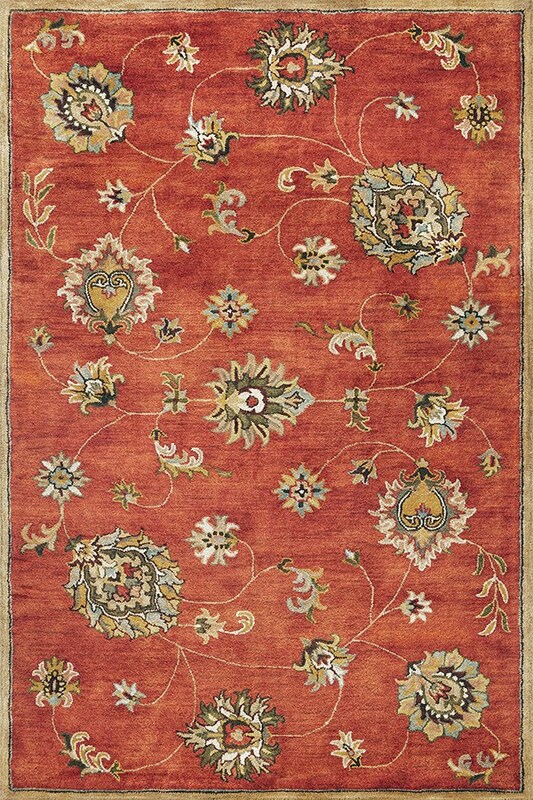 The "Sienna" color is actually quite dark - not orange or rust - more of a brown with rust highlights. Accent colors of sage, tan and dark greys. Good for warm winter decorating.